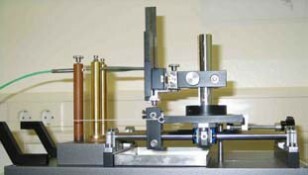 The Glow Wire test equipment is used to investigate the fire-resistant properties of raw materials and finished components. 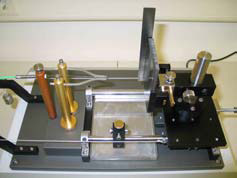 Concept Equipment’s test apparatus has been ergonomically designed to meet the above EN and IEC standards. The glow-wire itself is the source of the fire. The initial temperature of the glow-wire is set and controlled by a temperature programmer. 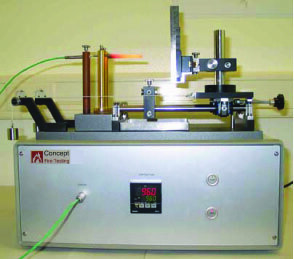 During a test, the temperature controller can be switched to manual mode to produce a constant voltage signal to the glow-wire, thus avoiding the sample to a variation in output power, which would otherwise be feedback from the control thermocouple.